Christmas is coming….it’s really not that far away! 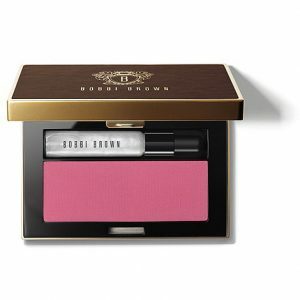 If you are beauty mad boffin like myself, you will have noticed there are some truly delightful Christmas beauty gifts out this year which would make the most wonderful gifts to give…or indeed receive! I’ve compiled a list of my faves for under £30….please Santa, we have been ever so good! 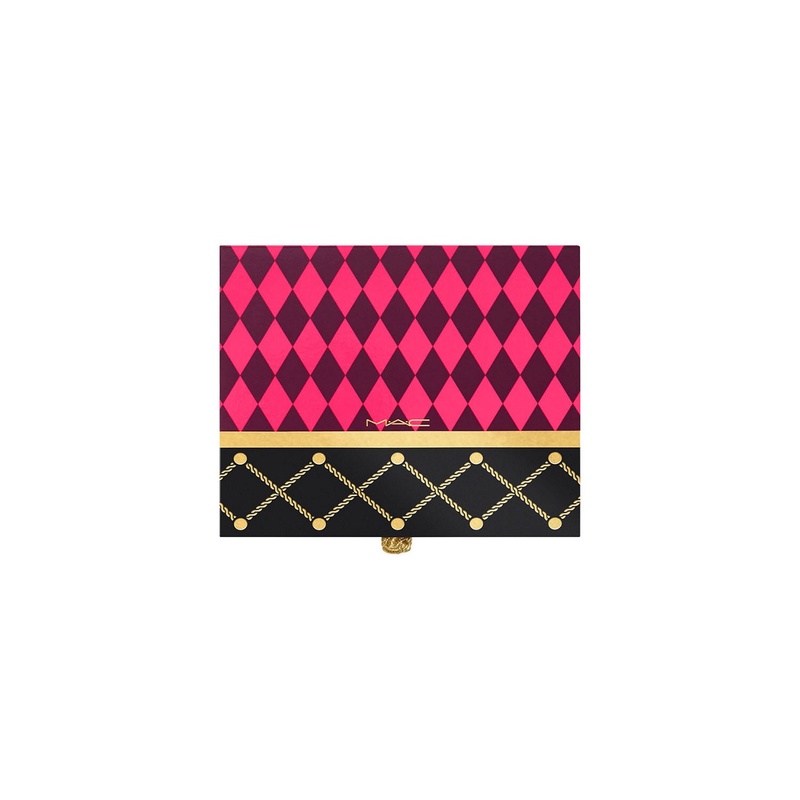 Charlotte, Charlotte….your makeup line is nothing short of dreamy!!! 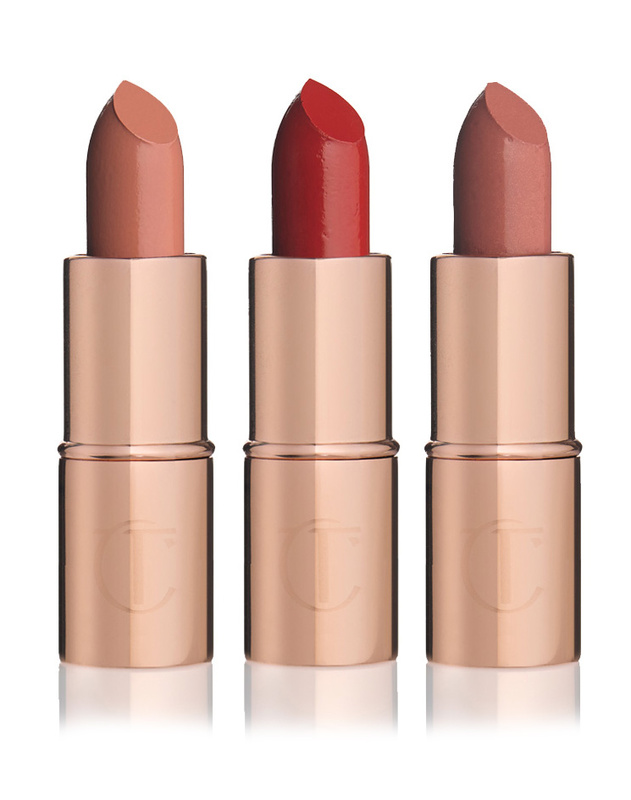 I adore Charlotte Tilbury. 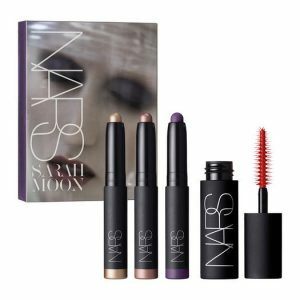 I’ve followed her career for years and regularly use her luscious products in my kit…they are pricey but oh so worth it. Charlotte has really excelled herself this year with her beauty stocking fillers…so much so that I’ve added TWO of her items to my coveted list. First up is Charlotte’s Pocket Pout compact creamy lipstick. A gorgeous little creamy compact for jut £16 people! It’s divine…and a perfect little stocking filler for lipstick lovers. 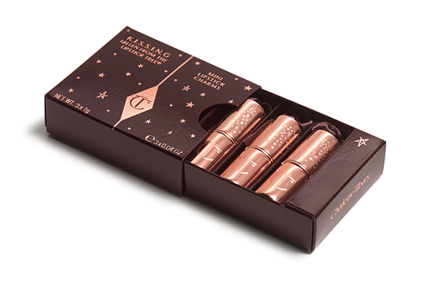 Next up from Charlotte is her trio of lipsticks encased in her signature rose gold tubes. 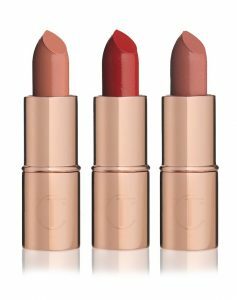 I use Charlotte’s lipsticks in my kit and I can confirm they are absolutely stunning, perfect, true pigment that lasts in the most flattering, gorgeous shades. My personal favourite are the K.I.S.S.I.N.G shades that you get in this set…an absolute steal at £29. This one is sure to sell out, so GO, GO GO!! Next up is NARS. Their makeup is always so luxurious and sleek…i’m a big fan. I usually always pick up a limited edition NARS Palette for my kit in Manchester airport whenever I go…but the Christmas gifts are also out of this world. I spotted this little beauty from the holiday collection, The Shadow Side Eye Set, comprising of three creamy shadow sticks for lining the eyes or layering under shadow’s for added dimensions. This next gorgeous gift is from my beloved Lancome. I have been such a fan of Lancome and all their makeup and beauty campaigns for years now. My very first beauty job before embarking on a freelance career many moons ago was on the Lancome counter. I spent hours playing with all their wonderful products and learning all about their ethos and French style. Needless to say I’ve used their products both on myself and in my professional kit ever since. 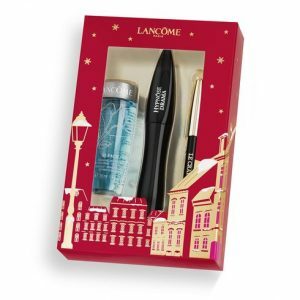 I personally believe Lancome Hypnose Mascara to be THE BEST Mascara out there…I just love it! No flaking, no clumping, no budging. Just gorgeous, long and full separated lashes. 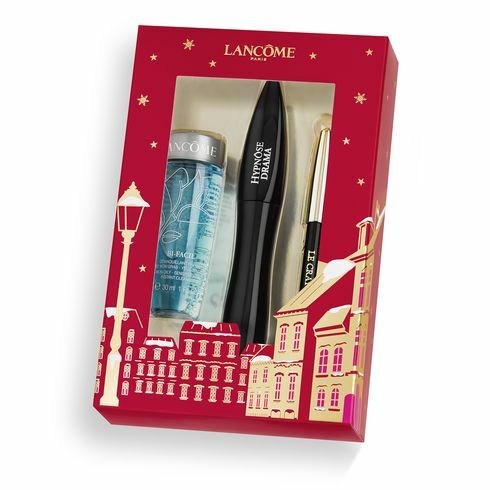 Lancome always do these lovely mascara gifts and lets face it…most of us girls wear mascara at some point, so this is a lovely makeup present that’s hard to go wrong with. The BiFacil’s makeup remover that’s included in the pack is just the BEST makeup remover around too. no contest! So I love receiving these mini treats, perfect for weekends away. This gold compact contains Bobbi’s best selling powder blush in ‘French Pink’ for a natural matte finish, with a sparkly liquid highlighter for an illuminated glow….swoon!! A beautiful and slightly different beauty gift for Christmas. MAC is an absolute staple in my kit, I simply can’t be without it…and I always look forward to their Christmas limited edition sets every year, they never fail to impress me. MAC’s gift collection this year is titled Nutcracker Sweet. 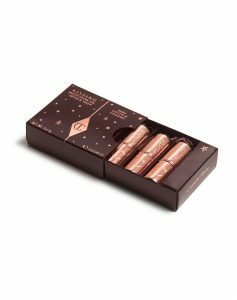 It comprises of some delectable, sugary sweet treats including lip sets, highlighting powders, brush kits and individual items too. I managed to narrow my pick down to the Pink Patent Polish Kit, priced at £26. A kit of miniature treasures brimming with four patent polish lip pencils in sweet bon bon pink shades. 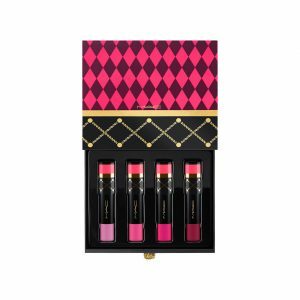 This divine little lip kit comes in a stylish box and will be gone before you know it as MAC’s collections are always a complete sell out! Hope you enjoyed reading guys and girls! Error: Error validating access token: Session has expired on Saturday, 09-Feb-19 07:40:21 PST. The current time is Wednesday, 24-Apr-19 19:03:11 PDT.